← (newer) DIY herringbone patterned tee: inkodye-d! 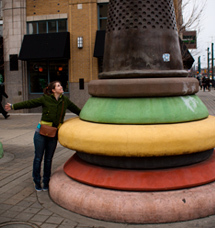 If you’ve looked at my Pinterest lately, you may have noticed a bit of a trend. Quilts. Specifically, triangle quilts. I haven’t even been trying, but for some reason, they’re all I pin (well, that and my elaborate carpentry dreams). Triangles are just sticking their pointy little noses into my life. The semester (the last semester!) is drawing to a close, and, naturally, I’m as busy as ever. In this busy-ness, I have no time for actual making – only bits of time for looking and soaking up what others have made, pretending that will fulfill my “maker” needs. I have such hungry eyes, and they’re pulling me toward big projects… quilt-big. This one, from Blue is Bleu, is sheer perfection. 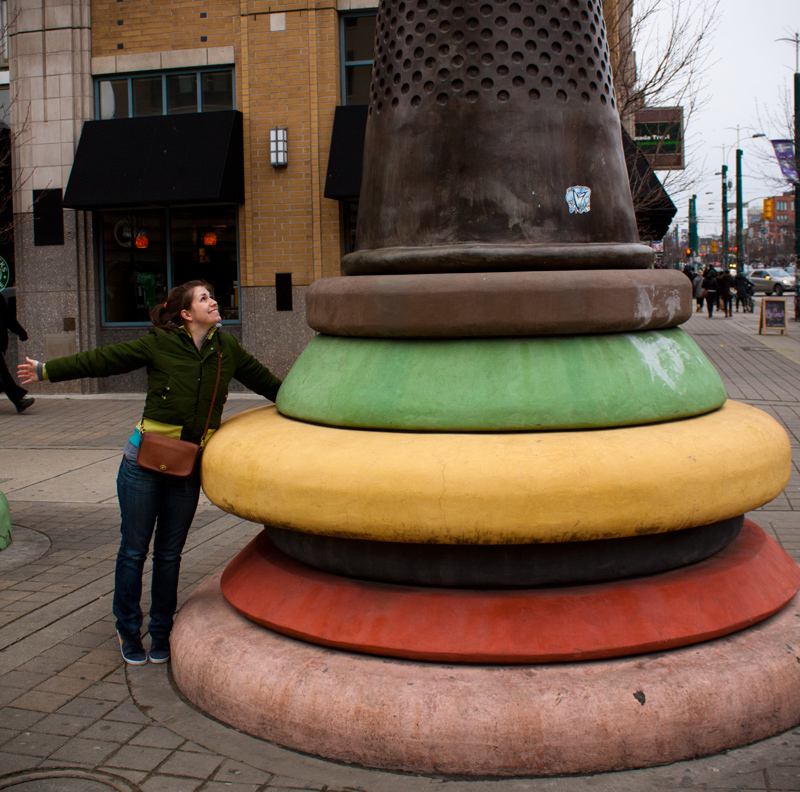 I love the solids. 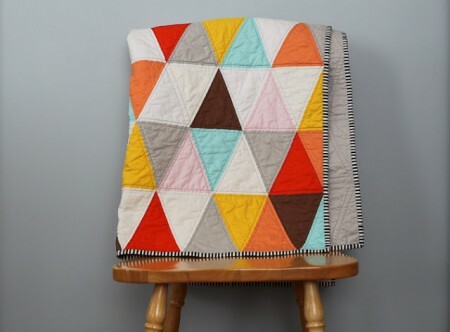 I never would have guessed that I’d love a solid quilt so much, but I can’t get over it. Gray. Yellow. Aqua. And so much white… how can white fabric carry so much beauty? Here’s another set of solids, blogged here at crazy mom quilts. Another spectacular color combination, but I definitely prefer the on-point triangles to this half-square triangle pattern. Film in the Fridge has the opposite approach to a “solid” quilt – these grays are just incredible. 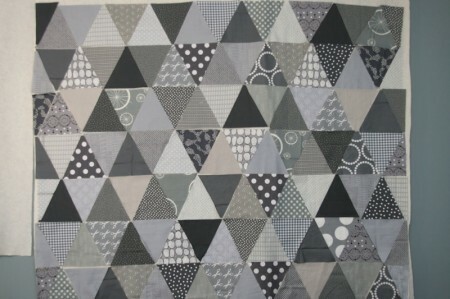 I’ve realized that all my favorite clothes are gray, so I’m sure I would love a gray quilt. I do feel that it would be tricky to find a suitable blend of gray fabrics; I would fuss over their tones. 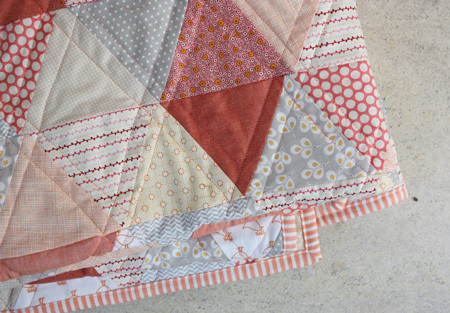 And the most patterned of the mix is Elise’s baby quilt. Love the gray and peach. Looking at these quilts, I’m amazed at how much I love the quilts made entirely of solid-colored fabric. I never would have predicted that. But they’re incredible. And, coincidentally, a batch of solids is what my “school fabric stash” is most prepared to handle… let’s just get through that to-do list. One month and two days until graduation! Surely the triangles can wait until then. Surely. 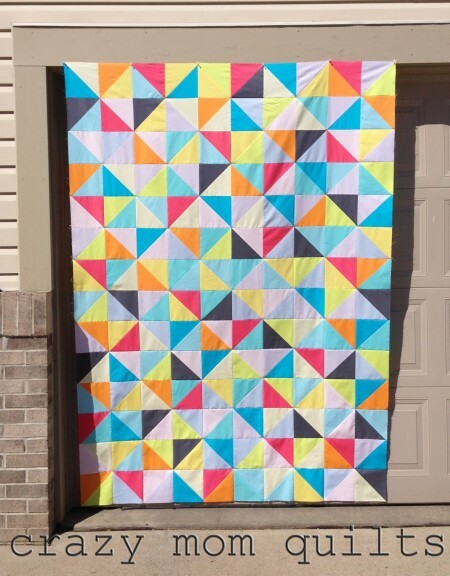 I found your blog when studying different triangle quilts to try and figure out what works. 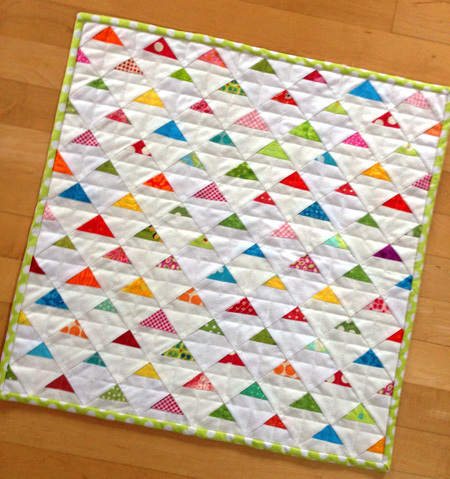 I think that solids are the key – too many patterns hurt the eyes, so we need lots of solids to make it pleasing and coherent, with just enough of a variety of patterns to add visual interest. For my triangle quilt, I’ve cut out way more triangles than I need and I’m arranging them a zillion different ways to get something I like. Thanks for posting this.